This page lists some of the most popular electronics downloads available from learnabout-electronics.org. Did you know that there are over 500 pages of electronics know-how available to download and print, in 30 different Modules, just click the "DOWNLOAD MODULE" pdf logo on any module, and it is yours to print and keep. Many of the modules also use animations to better illustrate electronic circuits and component actions. The Flash animations are ideal for use on desktop computers, projectors and whiteboards, just click the the "FULL SCREEN" button for a full size display. Note: Some animations contain elements (such as slider controls) that do not work well on touch screens, where this may be the case, the downloads are marked with an asterisk*. 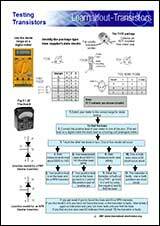 A4 Handout on how to test transistors, a simple step by step transistor testing guide using digital or analogue multi-meters. Identify common transistor package types and pin connections from suppliers datasheets. There are three ways a transistor can be used as an amplifier. How the transistor is connected affects the way the amplifier works. This is a quick guide explaining the effects of the different connection methods. A4 Handout. Not everyone who needs to study electronics for the first time, comes from a maths background. 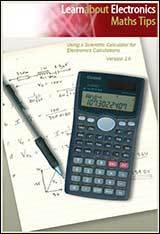 To help you with maths problems and methods used in electronics, engineering notation, essential electronics formulae and using a scientific calculator, download this FREE booklet, an extended second edition of our popular guide, to keep as a handy reference. Studying AC Theory involves remembering lots of facts and formulae. 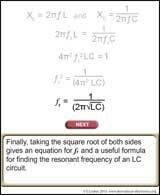 Here is a useful FREE booklet filled with the most useful formulae and concise facts about AC components and circuits. Download the BJT Operation animation. You can play it full screen on an interactive whiteboard or on your computer monitor. Download the JFET Operation animation featured in our Field Effect Transistors section showing how a JFET works. An interactive animation from AC Theory Module 5.3 showing how a phasor diagram can be used to represent the phase relationship between two sine waves. An interactive animation from AC Theory Module 5.4 showing how to calculate unknown phasor values using trigonometry, Pythagoras's Theorem or scale drawings. An interactive animation from AC Theory Module 8.2 showing the action of a High Pass Filter, using a Bode Plot and Phasor Diagram. An interactive animation from AC Theory Module 8.2 showing the action of a Low Pass Hilter, using a Bode Plot and Phasor Diagram. A step by step animation from AC Theory Module 9.2 showing how the formula for resonance in a LCR circuit relates to the equal reactance of L and C at the circuit's resonant frequency. An animation from AC Theory Module 11.3 showing internal construction of a toroidal power transformer. An interactive animation from Power Supplies Module 3.1 showing the operation of a Buck Converter circuit. An interactive animation from Power Supplies Module 3.2 showing the operation of a Boost Converter circuit. An interactive animation from Power Supplies Module 3.3 showing the operation of a Buck-Boost Converter circuit. The operation of seven types of logic gate explained in an interactive animation from Digital Electronics Module 2.1. The Digital Electronics Module 4 on learnabout-electronics.org offers more than 30 animated combinational logic circuit simulations that can be viewed AND EDITED using Logisim Software, which can also be downloaded FREE from the Logisim page in Module 4. The Digital Electronics Module 5 on learnabout-electronics.org offers more than 25 animated sequential logic circuit simulations that can be viewed AND EDITED using Logisim Software, which can also be downloaded FREE from the Logisim page in Module 4.